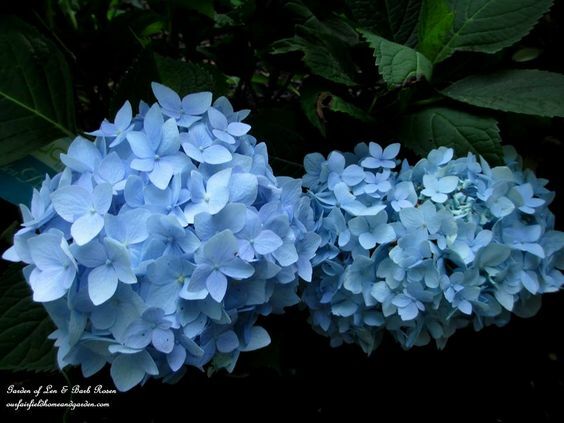 Home » Things that inspire me in the garden » Blue Hydrangeas ~ how to get and keep those blue blooms! 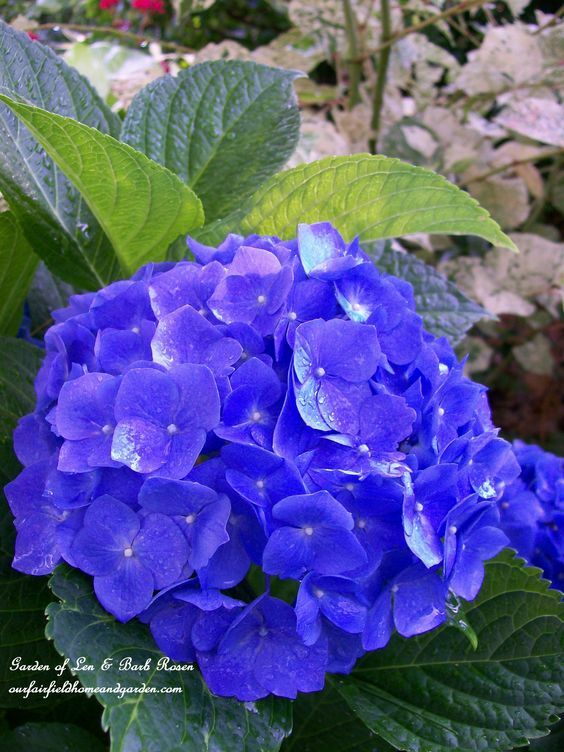 Blue Hydrangeas ~ how to get and keep those blue blooms! 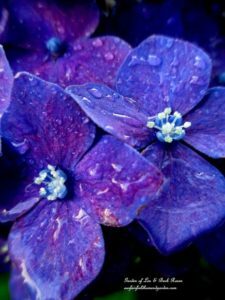 Did you fall in love with a beautiful blue Hydrangea and plant it in the garden, only to have it bloom purple or pink the next year? There’s a fix for that! Acidify your soil using Aluminum Sulfate. Understand that it is only Bigleaf Hydrangeas (Hydrangea macrophylla) that you can change and some hybrid varieties will not alter in color. 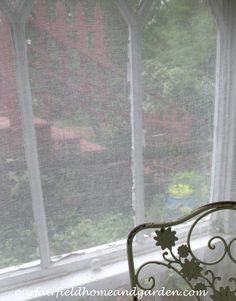 But, if you started out with a blue Hydrangea, this little trick will help restore the color. 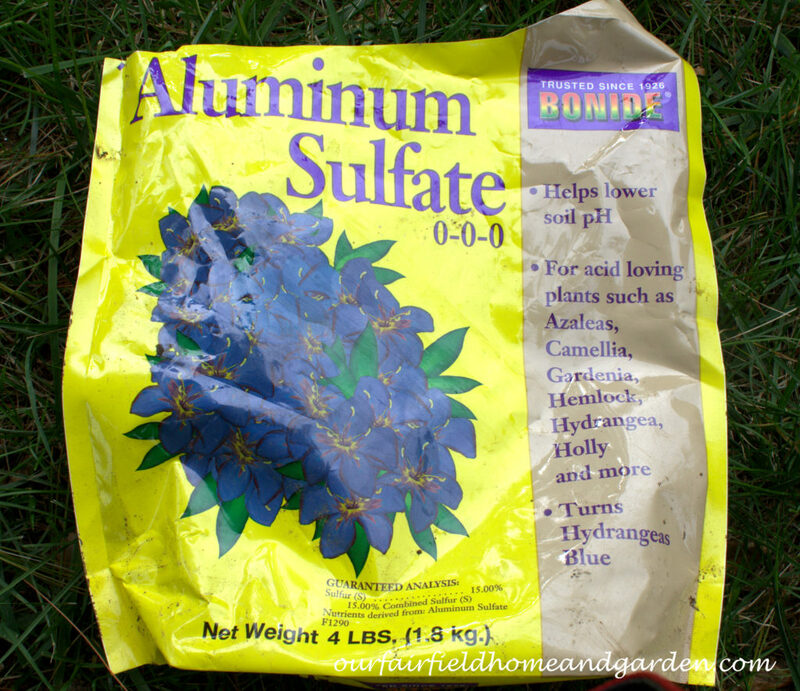 Aluminum Sulfate can be purchased from most garden centers. 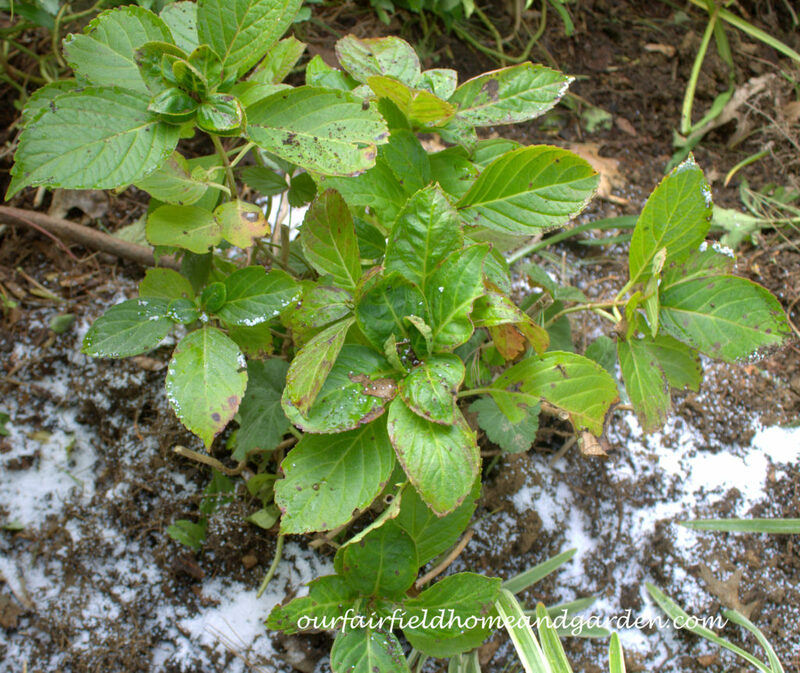 It is a fine white crystallized powder that I sprinkle around the base of my hydrangeas, water in and then mulch. Wear gloves while hand sprinkling the powder and rinse it off the Hydrangea’s leaves. Each fall and early spring (beginning of March) I spread a light application around my Hydrangeas and they reward me with gorgeous blue blooms. 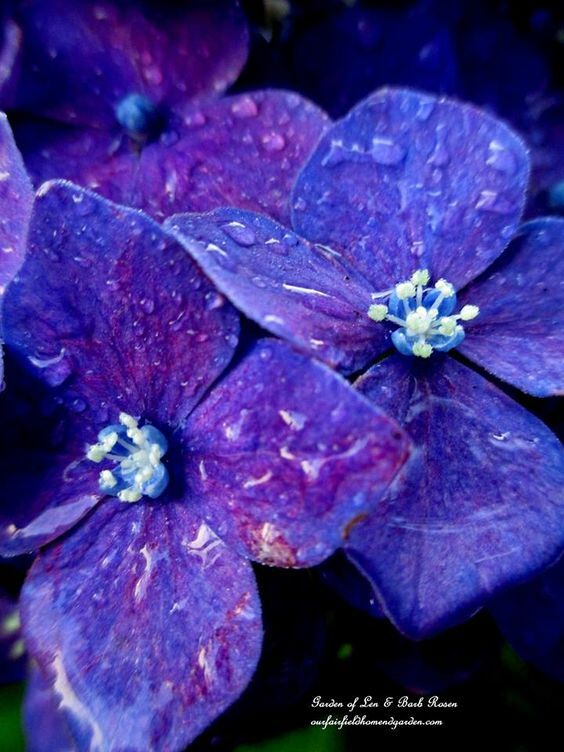 Aluminum Sulfate to keep your Hydrangeas blue! This is not a one shot deal and don’t over do! One application may not do the trick and applying too much Aluminum Sulfate may be toxic to the plant. Aluminum Sulfate lowers the pH of the soil making it more acid. 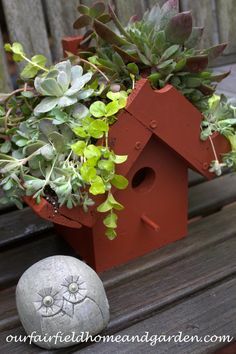 If you prefer, mix 1/4 cup of the Aluminum Sulfate powder to 1 gallon of water and water around the plant’s base. Sprinkle a light circle of Aluminum Sulfate around your hydrangea, as shown. 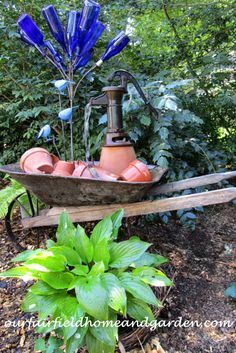 After sprinkling the powder around your hydrangeas, water well and mulch. 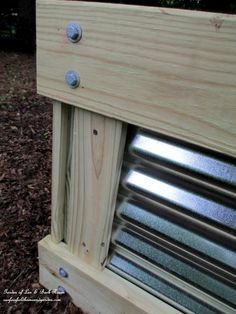 Adding pine needles, shredded leaves or pine mulch will also help acidify the soil over time. And, when you are planting a blue Hydrangea, work peat moss right into the hole to get it off to a great start. You can see for yourself that this soil amendment really works! Remember that the goal here is a more acid soil. Don’t spread any lime near your hydrangeas or you will reverse the process! Blue Hydrangeas ~ an easy tip to keep them blue! Now you know just how easy it is to keep those beautiful blue Hydrangeas blue! 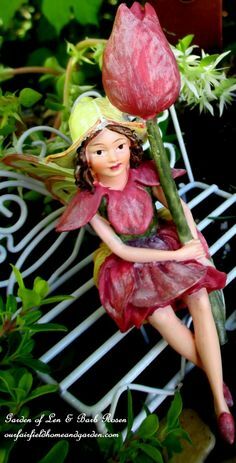 Hope you liked this garden tip! Make sure to pin it for later! 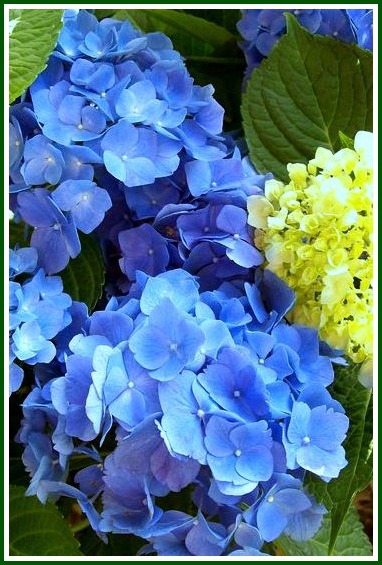 Blue Hydrangeas ~ Here’s an easy garden tip from Our Fairfield Homeand Garden to get and keep those blue blooms! I am going to try this but I do have a question. I have not gotten one bloom from my two hydrangea bushes for the last 2 years. What am I doing wrong. We live in CT and they used to bloom all the time. HELP! 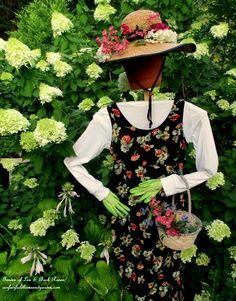 There are a multitude of possible reasons that a hydrangea doesn’t bloom – if the winter is harsh and there is substantial die back, the hydrangea will take a year or so to grow back before blooming, it may be due to over zealous pruning, as well. 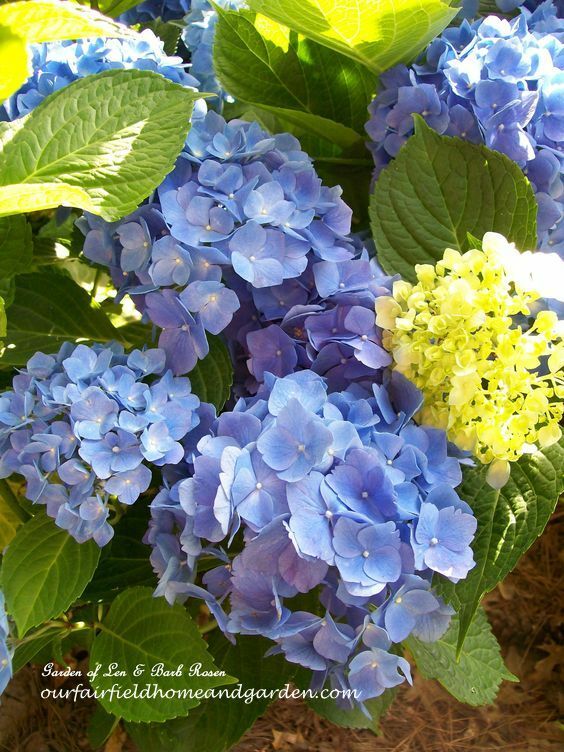 Try sprinkling a little super phosphate (found at garden centers) around the base of your hydrangeas this spring and see if that helps pop out those blooms! I love the hydrangeas just as much when they turn brown in the winter. I like to pick the blossoms then and have instant dried flowers to make arrangements with. 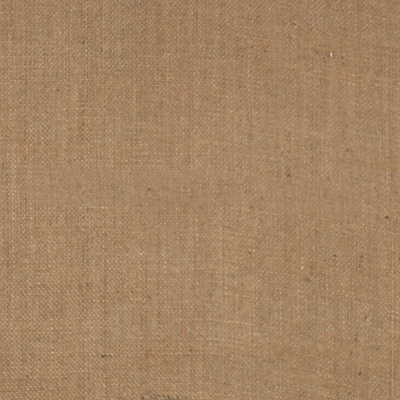 The tea-stained sort of color they turn goes really well with the colors of my walls since I rag-rolled them in that shade.